register by Monday, May 12th and receive 10% off the final course for Spring! $275 per person, 6 people max, 3 people min. $100 deposit necessary to hold space. evening #1: First evening: working with copper-safety, drilling, sawing, fold-forming. evening #3: working with wax create pieces w/the lost wax technique- to be cast in Sterling, Brass or Gold. 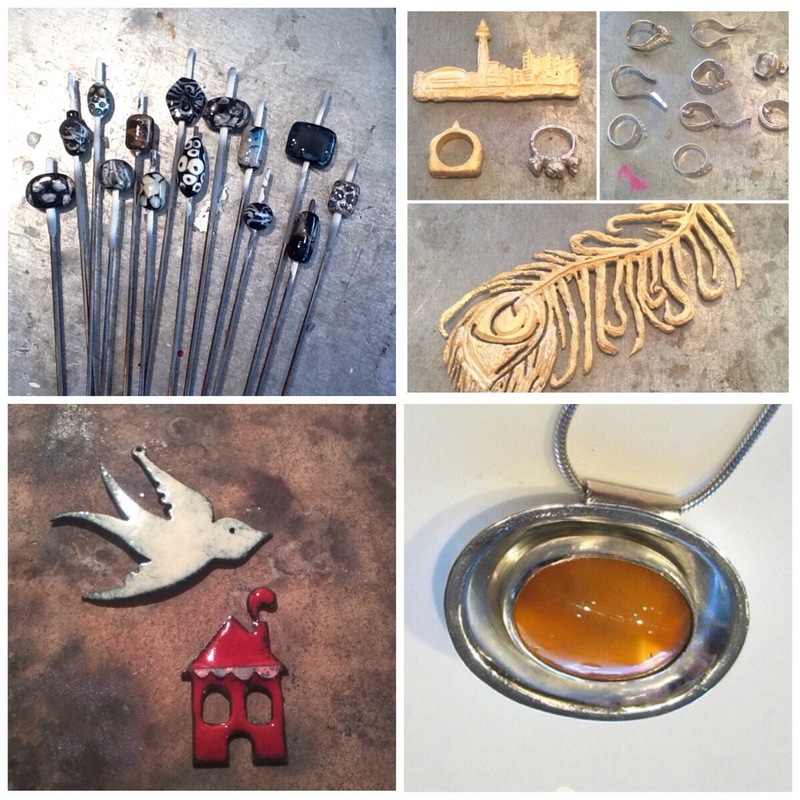 evening #7: Enameling copper projects, forming, how to make your own findings. No experience necessary! Copper, wax, glass, and some sterling silver are supplied. A list of local suppliers is included. Questions concerning this course? 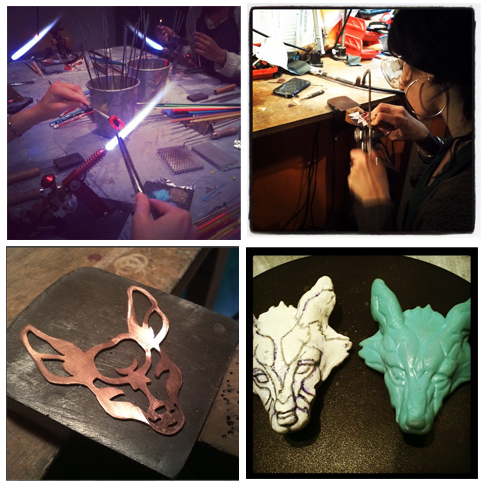 Please see our FAQ’s check out some past student work! Sign up with a friend for a beginning jewelry course in Toronto!